Health Club Company - Tavares Group Consulting Inc. Founded in 1979, GoodLife Fitness has well-established community investment and health & safety programs – the key components of a sustainability program. In order to achieve the organization’s purpose and realize the vision that community investment is essential, GoodLife has proudly supported charitable and not-for-profit organizations for over 30 years, including, the GoodLife’s Kids Foundation, The Kilee Patchell-Evans Autism Research Group; University Health Network’s Peter Munk Cardiac Centre and over 300 charities across Canada each year. Additionally, GoodLife has implemented a formal health & safety policy, a corporate level Safety and Prevention Team, and Joint Health and Safety Committees at all club and head office locations. Although GoodLife addressed numerous environmental initiatives through a GreenIt Committee that was formally in place, Goodlife recently identified an opportunity to improve its environmental performance by focusing on energy consumption and embarking on the development of a formalized sustainability plan. Noting this opportunity, University of Waterloo Master in Environment and Business Program candidate and owner of Reset Management Group, Barry Moncrieff, engaged GoodLife to develop a pilot program using the Sustainability Toolkit’s 13-step process-based approach to sustainability integration. This approach was implemented in a GoodLife Fitness Club location in London, Ontario which allowed GoodLife to see the benefits of a systematic process. Energy was chosen for the pilot program due to its large impact on facility operations and the ability to correlate environmental and economic performance. Many fitness facilities operate 24/7, resulting in increased energy and natural gas consumption to maintain service. Following the Toolkit’s process-based approach to sustainability planning and implementation, stakeholder engagement strategies were developed, an energy baseline data was established, energy targets were discussed, and an environmental policy and energy action plan were established. – Use of ozone for laundry services. GoodLife will continue implementation of sustainable practices through the design of an employee communication and training program, and procedures to monitor energy performance and audit protocols. Moving forward, Goodlife will be able to use its pilot facility as a model to rollout sustainability management practices at many of its other facilities. GoodLife has pledged a long-term commitment to creating a corporate sustainability plan that will continue beyond the initial planning and execution to embed an environmental dimension into the existing corporate culture. 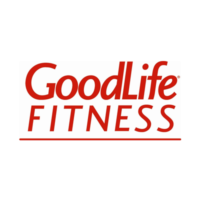 GoodLife Fitness is a national and global leader in fitness, health and wellness with over 350 clubs across Canada and more than 1.2 million members. Its purpose is to give every Canadian the opportunity to live a fit and healthy good life. Through its club business, corporate wellness division and the GoodLife Kids Foundation, GoodLife is committed to transforming the health and wellness of Canadians of all ages from coast-to-coast. The research for this case study was performed as part of a cap-stone project for the Master in Environment and Business program at the University of Waterloo.